It's time for MORE Great Chapter Books For Preschoolers! I love reading chapter books to my girls. We read chapter books most mornings during breakfast, and occasionally at other times throughout the day as well. I'm always amazed at how much they retain, even if the vocabulary, concepts, and sentence structure may seem above their comprehension level. Trust me, they're listening and learning! Here are some early chapter books that we've enjoyed. At the time that we read these, my girls were around 2 1/2 (she's mostly just along for the ride) and 4 1/2. And in case you missed it, here is my first round-up of Great Chapter Books for Preschoolers. 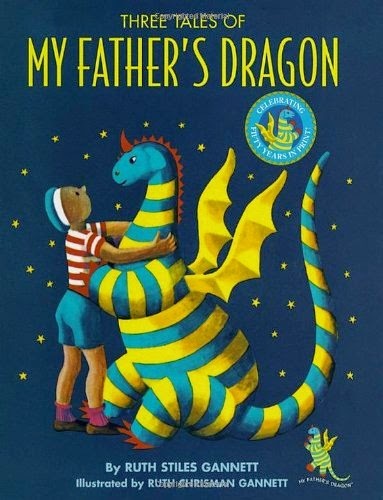 Three Tales of My Father's Dragon may just be my favorite early chapter book. A young boy goes on a grand (but not scary) adventure to rescue a young dragon and see him to safety. There is just the right amount of action, whimsy, and drama to entice young children. The text is clean and simple without being clunky. The chapters are also nice and short, but there is enough of a story to keep things moving. I love this one, and I think it can easily be enjoyed by children as young as 3. 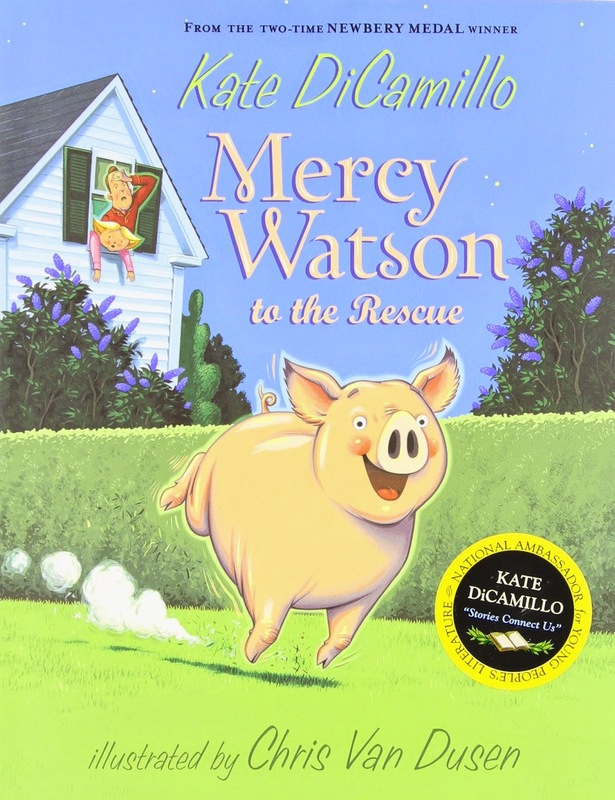 Mercy Watson To The Rescue is the first of 6 books about a buttered-toast loving pet pig. She gets into crazy antics that will keep your kids laughing. These stories are all very short, and some of the chapters are only 2 or 3 pages long. There are also lots of pictures to help your preschooler get a feel for the story. They make a great choice for first chapter books, and children as young as 2 years old can follow along and enjoy the stories. Leroy Ninker is a character in the "Mercy Watson" series who is getting his time in the spotlight with a new series of his own. 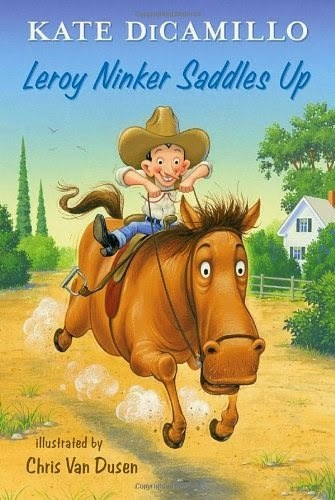 Leroy is a tiny little man who dreams of being a cowboy. Like the "Mercy" series, this book has short chapters and great pictures, making it a great choice for young 3-year-olds or even 2-year-olds. 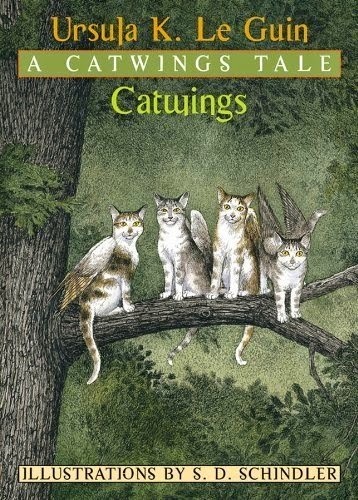 A set of 4 sibling cats, all (inexplicably) born with wings, escape their life in the city and find a comfortable new home. This is the first book in a series of 4, and they are all delightful. The concept sounds just like something that your preschooler might dream up-- "What if cats had wings?" and so they will be fascinated by these charming and quaint little stories. There is also just enough drama to keep the stories interesting without being scary. 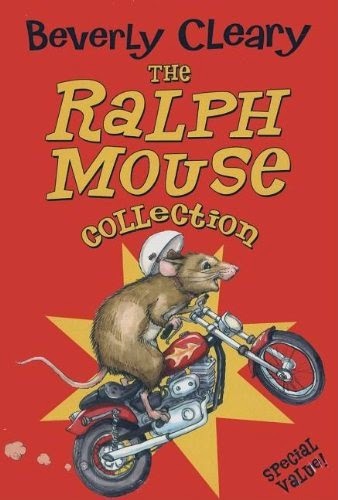 Ralph the Mouse lives in a hotel, and learns to ride a toy motorcycle. This trilogy is about his adventures in and out of the hotel. The story is fairly simple and Ralph is a lovable character (I think that all children like tiny things like mice). The writing is straightforward, but sometimes a bit clunky. I only notice the 'clunky' writing after we've just read something that is much more lyrical and well constructed. The Mouse and the Motorcycle trilogy could be a good choice for a first chapter book for a 4-year-old, but might be a bit tricky for a 3-year-old to follow. 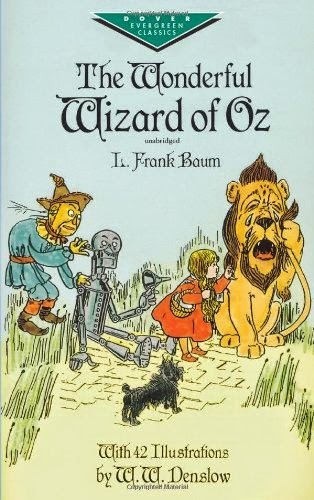 Ever since the girls' grandmother started telling them the story of The Wizard of Oz as a bedtime story, they've been obsessed. They pretend that they're Dorothy, carry around a little stuffed dog in a basket, and have even made the yellow brick road with a roll of paper. I thought it was time that we read the real thing, and it's a gem! The characters will capture your child's imagination, and the drama of the story is just right for preschoolers. Some parts are a bit scary, so you can skip them if you need to. This selection is a good choice for children who are 4 or 5. 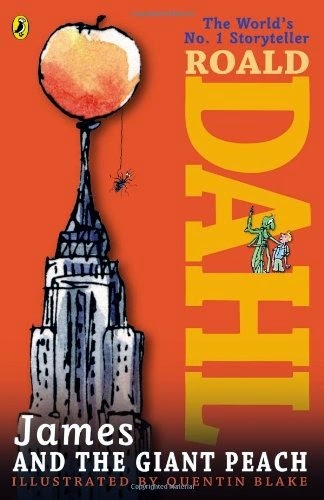 James and the Giant Peach is perfectly nonsensical. After spilling a bag of magic crocodile tongues, a peach in James' yard swells to an enormous size. James crawls inside, meets some giant bugs, and they float across the Atlantic Ocean. It's so crazy that its brilliant, and my girls thought it was hilarious. This book is great for preschoolers of any age. You'll like it, too. Eleanor Estes is probably best known for her books about The Moffats. 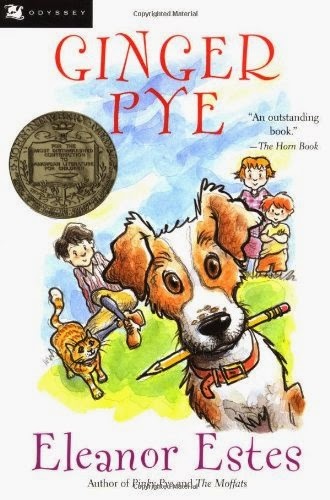 We loved this story about Ginger Pye, an intelligent dog who goes missing. Ginger's owners, a brother and sister duo, search tirelessly for him, and they are all eventually reunited. The language in this book is so delightful that I found myself smiling while I read. It is rather long, and the vocabulary is advanced, so I'd recommend it for older preschoolers who are accustomed to listening to chapter books. Astrid Lindgren is one of my favorite children's authors. She is most well-known for creating Pippi Longstocking, and we've also enjoyed her book The Children of Noisy Village. Lindgren is able to perfectly capture the mood and spirit of children. 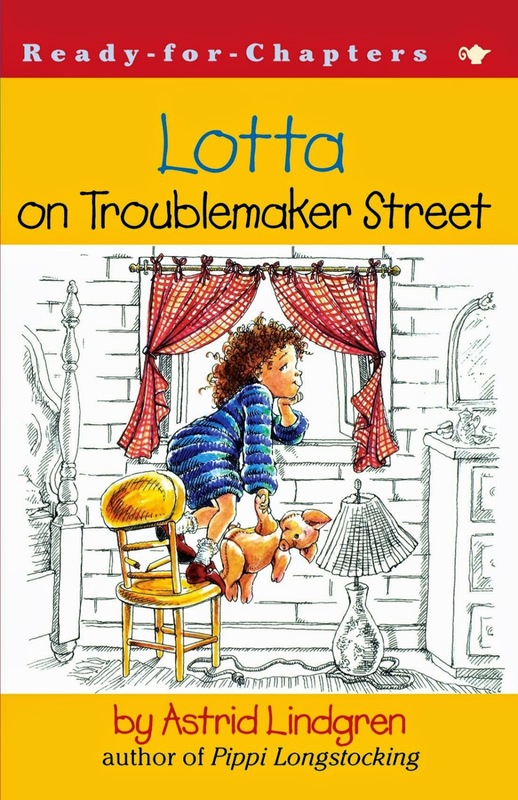 Lotta is a 5-year-old who wakes up on the wrong side of the bed, and ends up moving into her neighbor's storage shed before she realizes that life with her mom and dad isn't so bad after all. While I was a bit concerned about reading about Lotta's terrible behavior, the underlying message is positive. I just made sure to talk to my girls about Lotta's bad behavior and made sure they knew what my personal expectations for their behavior was. Paddington is such a sweet bear, but he always gets into so much trouble! The girls loved hearing about Paddington's adventures, but the stories a a bit complicated. I had to do lots of explaining; the dots are not quite connected enough for a young child to follow on their own. After they'd had the stories explained to them, they really liked this book, and loved the idea of a little bear living with a family. 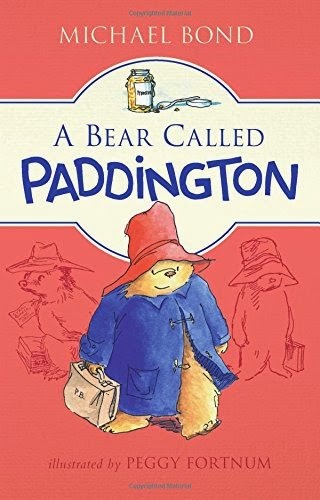 Paddington is appropriate for older preschoolers. Interested in more children's book lists? I've found a ton and you can see them all on this Cutting Tiny Bites Pinterest board. 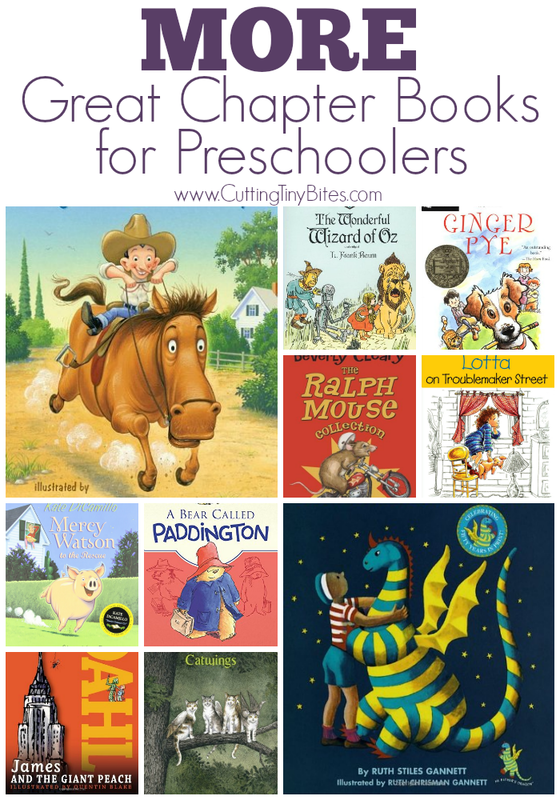 Book selections for preschool kids who are ready to listen to chapter books. Some for the very young (2 and 3 year olds) and some for the older preschoolers (4 and 5 year olds). Brief reviews of each!